Originally published in 1863, The Fortune Teller and Dreamer's Dictionary by Madame LeMarchand, a "celebrated Parisian fortune teller," is a little gem of occult knowledge. 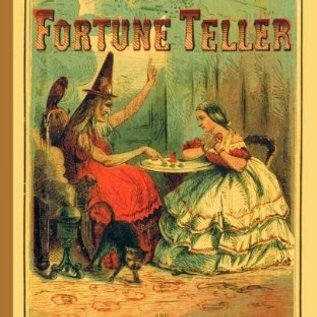 Readers will learn to tell fortunes using dice or ordinary playing cards, read tea leaves and coffee grounds, interpret dreams, make charms, read palms, and much, much more. 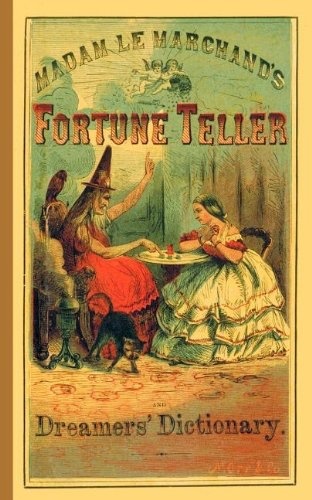 The contents include the "Lady's Love Oracle" for answering all of your questions about affairs of the heart (all you need are three dice and this book), as well as the "Art of discovering Truth from Falsehood, Augury of the Flower, Charms and Ceremonies, and How to tell fortunes by Moles." There are also instructions for telling a person's character by assigning numerical values to the letters in his or her name, adding the numbers, and referring to the number in the book's chart. Filled with diagrams and illustrations to supplement and clarify the written text, this is a reissue of a rare and unusual Civil War-era book.